"Mummy, there's clothes to wash?" The children love to be their mother's best helper! This super laundry center, consisting of wooden washers, dryers, laundry baskets, irons and ironing boards, fully realizes the child's small dreams. It can help the beloved dolls to fragrantly wash their clothes, wash clothes, and be like mothers. 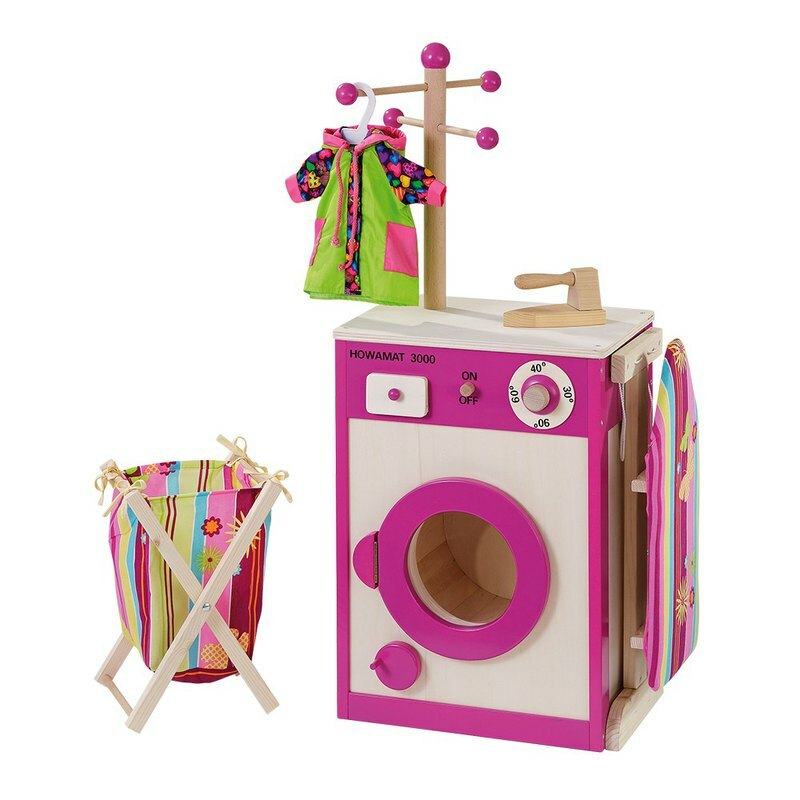 Dry clothes on the rotating clothes rack, ironing clothes, not only have fun, to promote the development of children's fingers fine movements, but also allow children to practice from childhood to do housework Oh! Height: 86 cm Width: 44 - 72 cm Length: 29 cm * Does not include clothing accessories *Not applicable to children under the age of three. Due to some small items that may come loose, there is a risk of children jeopardizing eating.